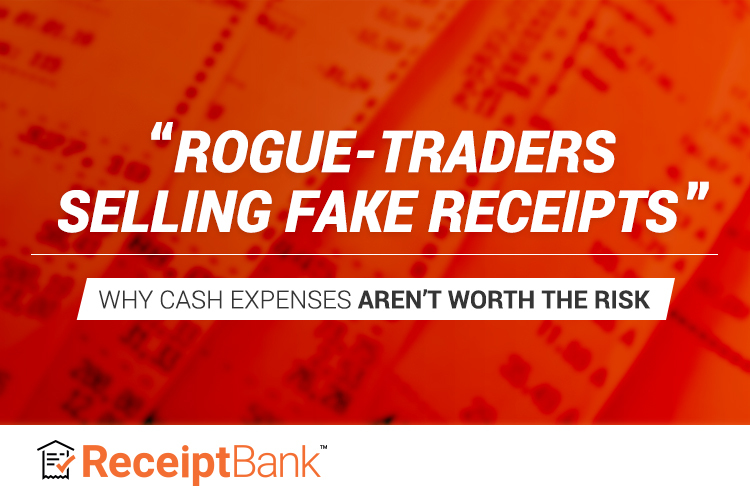 While an illegal market for something as mundane as receipts might be surprising, it’s a logical extension of a cash-based expense system. And the problems don’t stop there. But new receipt management solutions can not only close the loophole, but transform the whole bookkeeping process. Accounting rarely makes it into the mainstream news, give or take a Carillion collapse, but a new BBC investigation suggests that there may also be serious issues at the smaller end of the scale. Business owners looking to avoid tax can purchase huge volumes of legitimate-looking purchase invoices to claim as expenses. A reporter went undercover with various rogue traders and was offered £10,000 worth of completely legitimate purchase invoices for a mere £800. Of course, these were all marked as cash payments so there was no easy way to track the payment trail. The opportunity of business fraud is nothing new. We’ve covered stories before where technology such as Receipt Bank has revealed big fraud cases in Australia. We’re also proud to have remarkable practitioners such as Dawn Brolin using Receipt Bank to teach other firms how to detect and foil fraud. But the BBC report is an example where technology is yet to catch up with real-world systems. Changes in tax systems such as the UK’s Making Tax Digital are tentative steps towards greater efficiency, accountability and clarity, but they fall short when faced with analogue systems such as cash payments, used by millions of UK SMEs. In a cash-based system, there is no paper trail that can be checked; no bank transaction to match with the proof of purchase. The only evidence is receipt or invoice that records the cash payment. In these circumstances, financial controllers and revenue services have to go on faith, which leaves the system open to abuse. What’s the risk for businesses? Expense fraud currently costs UK businesses over £2 Billion a year. Meanwhile in the US expenses make up 21% of fraud in SMEs, with the median amount lost totally $31,000. This is not something SMEs and their advisors can ignore. Businesses that submit inaccurate expense data to HMRC, knowingly or otherwise, are liable for penalties. These are based on the potential amount of revenue lost, and range from 15% to 100% of the revenue lost. “Careless” errors can still be fined at 30% of lost revenue. But there is also an opportunity cost for businesses, and accounting and bookkeeping practices. Managing expenses is traditionally very time consuming. Let’s count the steps. A client makes a business purchase, paying on their own credit/debit card or a business approved card. The client hangs on to their receipt for bookkeeping purposes. The client delivers the receipt to their accountant, or their accountant travels to collect it. The accountant or bookkeeper enters the information from the receipt into an accounting system. The accountant or bookkeeper matches that purchase data to a bank statement or bank feed to reconcile the transaction. A cash purchase takes almost as many steps, without the certainty of reconciliation at the end. This is why cash receipts are making their way into the blackmarket, as tax deductible expenses can be inflated to reduce tax. In this scenario, bank data is the source of truth for bookkeepers, but technology like Receipt Bank lets it go even further, saving huge amounts of time, taking the bookkeeping process to the point of full automation. The client makes a business purchase with a cloud-enabled card. The transaction is automatically recorded in the cloud general ledger accounting bank feed. The client submits the purchase receipt to Receipt Bank, or Receipt Bank automatically fetches the invoice from the supplier. The purchase data is extracted by Receipt Bank, and checked against the bank feed. The data matches, so Receipt Bank published the data to the cloud general ledger, attaching an image of the document to the transaction. With the linking between the card spend data and Receipt Bank, and a move away from cash based transactions, the potential for business fraud is reduced. Not to mention a huge amount of time saved for the client and their accountant or bookkeeper on reimbursing employee expenses. The data is recorded, extracted and matched automatically. 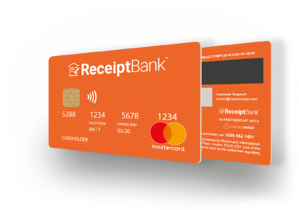 Discover more about how the Receipt Bank Mastercard™ is making expenses a whole lot easier below.